Srinagar, February 05, 2019 : Debutants Real Kashmir FC, take on Gokulam Kerala FC on Wednesday, February 6, 2019, at the TRC ground in Srinagar, in what is a crucial clash for the home team, who are nursing hopes of a dream title win on debut. 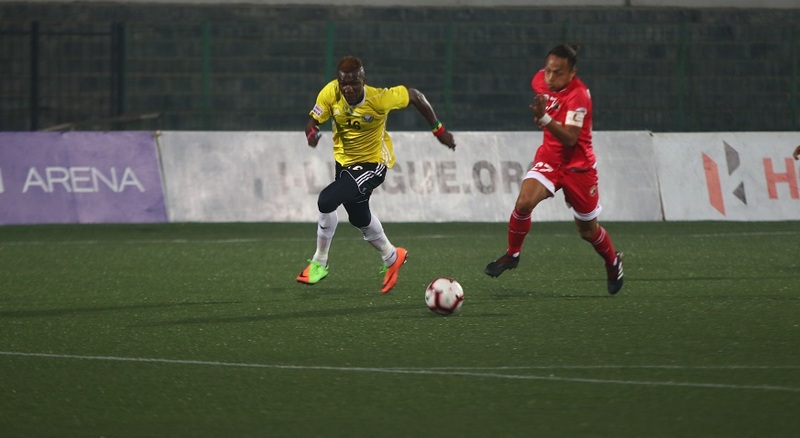 Kashmir are on 29 points after 15 games, just one behind leaders Chennai City and a victory on Wednesday, depending on the outcome of Tuesday’s Churchill-Shillong game, they can catapult themselves to the top spot at the business end of the league. He was probably referring to the first game between the two sides played at Kochi when even though Gokulam was going through a rough patch, they managed to eke out a 1-1 draw. He also shared that he would start with both Kofi and Krizo, his two front men, as both were available. For the visitors, this will be the third match that new Technical Director Gift Raikhan will be in charge and they have not lost since he has come on board and have notched up two draws against Minerva and Mohun Bagan respectively. One thing is for certain though, that the visitors will not only have to contend with a brilliant Kashmir defence, but also the conditions and a vociferous home crowd at the TRC Ground tomorrow.